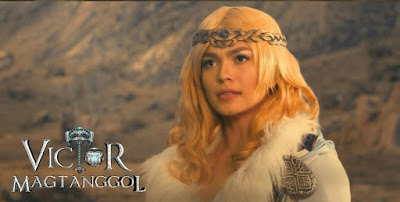 Does Andrea Torres Feel Insecure About Four Sanggres Of 'Encantadia' Joining Them In The Cast Of 'Victor Magtanggol'? 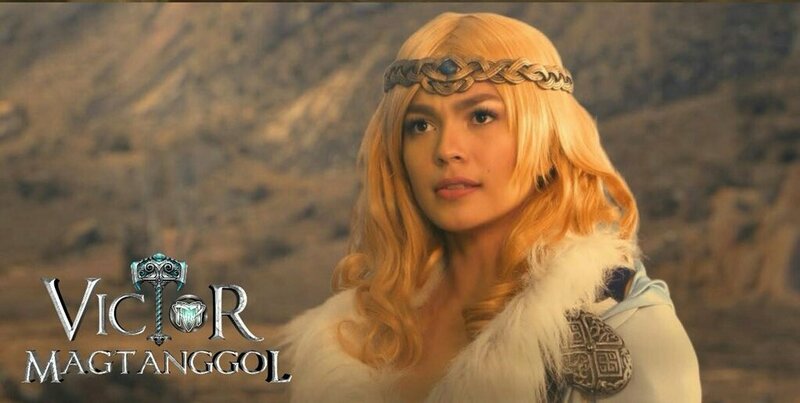 ANDREA TORRES welcomes the entry of the four Sanggre sisters of “Encantadia” as special guests in “Victor Magtanggol”. These are Glaiza de Castro as Pirena, Kylie Padilla as Amihan, Sanya Lopez as Danaya and Gabbi Garcia as Alena. Viewers are now wondering if they would share with Alden as Hammerman some of their own special powers. As the goddess Sif in the show, didn’t Andrea feel threatened at all with these four lovely women joining the cast of their primetime telefantasya? The four Sanggres were introduced in a special episode this past week. Alden is shown heavily injured and falls down wounded in the middle of a lonely road. Then the four Sanggres appear to help him, take him to their place and nurse his wounds. “Sa kabuuan, maganda ang feedback sa paglabas nila sa show kaya magiging exciting ang developments sa next few episodes,” Andrea adds.